On this episode, the Lauros love nana's meatball recipe, which has been in their family for generations. But they're looking for a healthier meal with less sugar and carbs for dad, who is hypoglycemic. With more than 1500 calories per serving, this tradition needs a makeover. 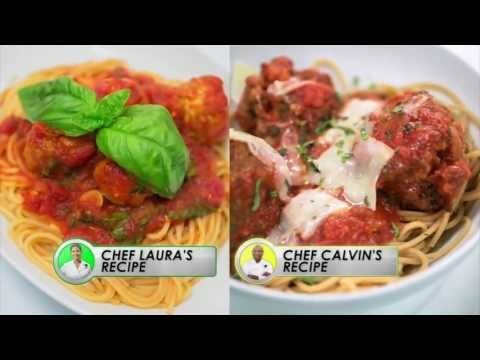 Chefs Laura Vitali and Calvin Harris battle it out to see who can rehab their recipe and make it more nutritious without sacrificing any of the flavor.